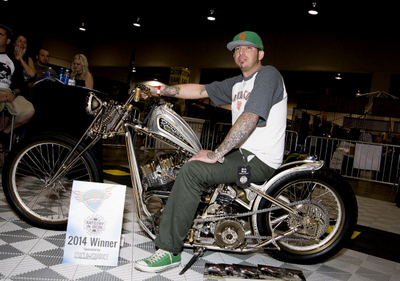 Las Vegas, NV (August 28, 2015) – It’s the dream of all master bike builders; being recognized as the best in your class. 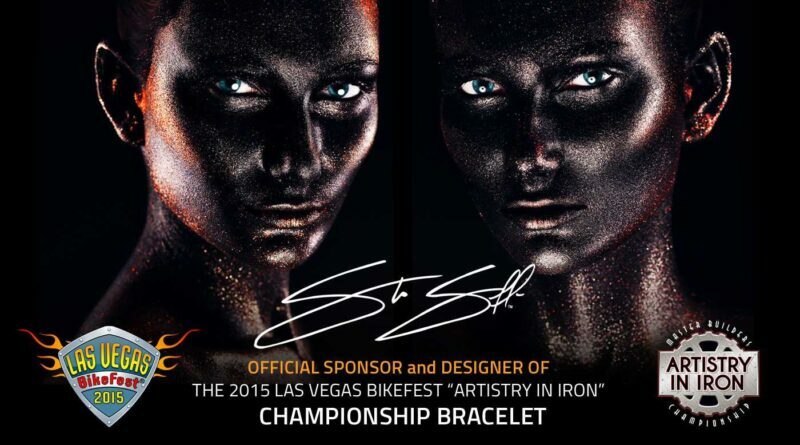 The appeal of winning has now been elevated, as Las Vegas BikeFest 2015 returns with the championship bracelet and inks the builder’s name into the history books. 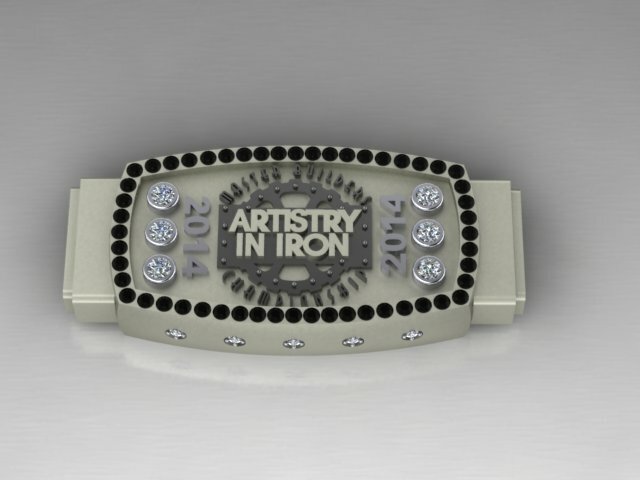 To commemorate the 15th anniversary of BikeFest (2001-2015), a new design for the bracelet will be revealed, and awarded to the winner – and for the second year, the “Artistry in Iron” champion will be crowned like a king. 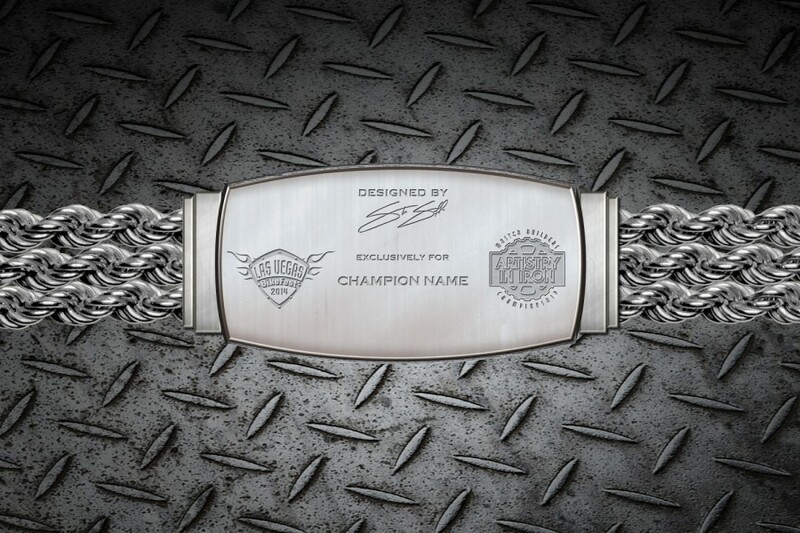 Master Artisan Steve Soffa, designer and creator of the 2010 World Series of Poker bracelets, forged a long term relationship with the team that runs BikeFest, and became the Official Championship bracelet designer for BikeFest 2014 “Artistry in Iron.” With that title comes the responsibility to create a timeless bracelet to be awarded to the Champion each year. Soffa says, “2015 is extra special as it marks the first year of a new location for this iconic event; DOWNTOWN LAS VEGAS. Being located on the world-famous Fremont Street will be incredible and I will have an entire new set up inside the new pavilion where all the incredible custom bikes will be showcased. “It’s a tremendous honor to be awarded with creating the foremost trophy for bike-building artists,” continues Soffa. 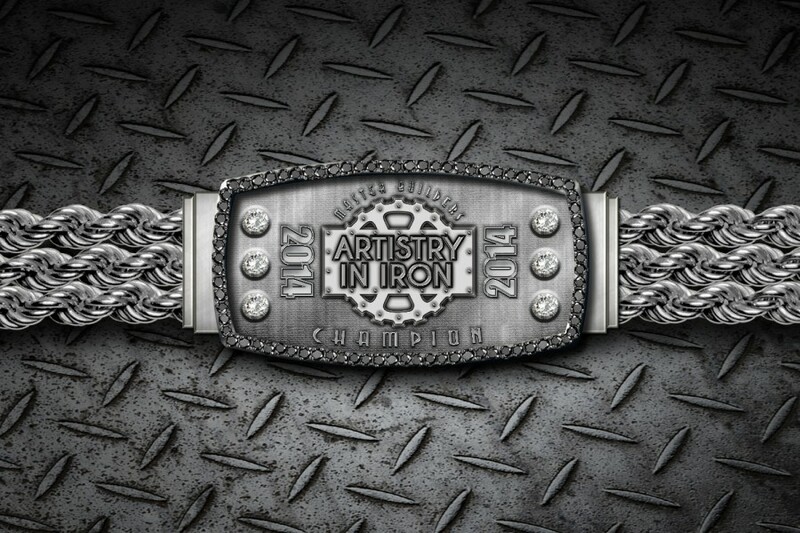 “I have been hard at work putting a new twist on this year’s ‘Artistry in Iron’ Championship bracelet and look forward to unveiling it for public viewing at BikeFest in the new “Artistry in Iron” pavilion. 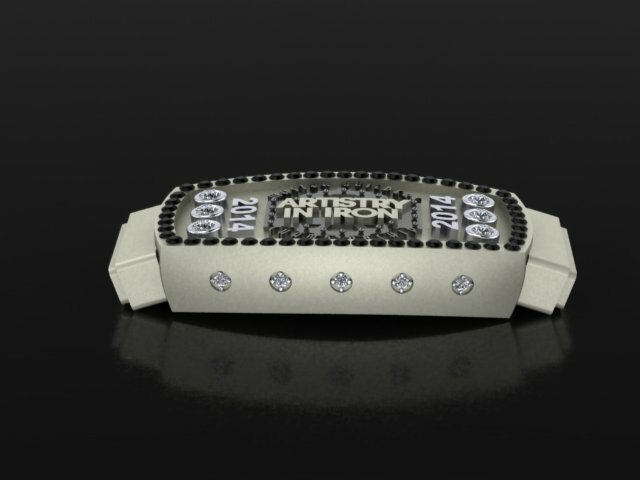 In addition, Soffa will be on hand at the bracelet ceremony and will also hand-engrave the 2015 Champion’s name into the back of the bracelet. 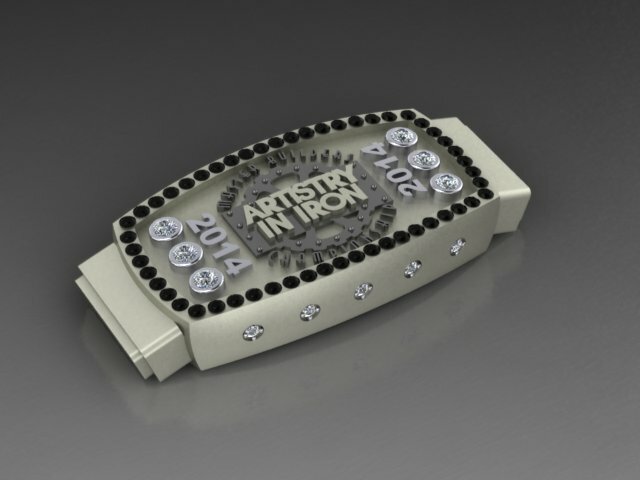 The bracelet will be presented to the winner on Saturday, Oct. 3rd at 6:00 pm, inside the Pavilion. During the design and creation of this bracelet, Soffa has taken great measures to ensure its wearability as well. Soffa spent considerable hours on the faceplate portion of the bracelet, which is crafted in Sterling Silver and features a collection of round cut white diamonds and other precious stones. 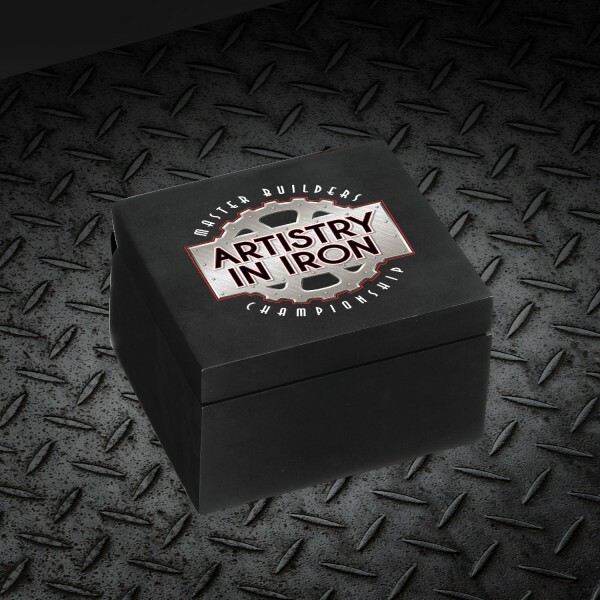 The “Artistry in Iron” emblem is raised in three dimensions to outline the details. 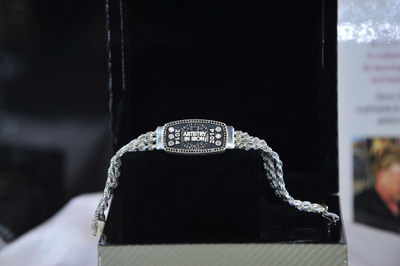 “Unique characteristics like these make this Championship bracelet truly priceless,” says designer Soffa. 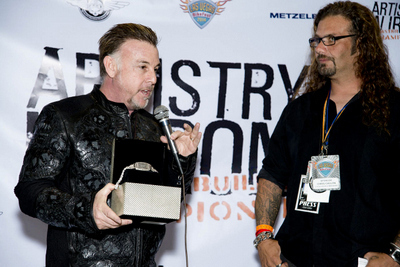 In 2005, Soffa launched his first timepiece collection at the Laughlin River Run bike rally. Since then, his dynamic artistry in time and fine jewelry has taken the bike industry by storm and has received Gold awards from JCK and PPAI for his technical designs and innovation. He is a featured designer in Sturgis at EasyRiders Saloon and at One Eyed Jack’s Saloon, as well as Barrett-Jackson car collector’s auction. Las Vegas BikeFest features its new location in historical downtown Las Vegas located on Freemont St. and 8th. The new pavilion will feature new watch and jewelry designs by Steve Soffa and all of the Artistry in Iron custom bikes and its builders. In addition, the rally includes non-stop musical entertainment including headliners Slaughter and Vixon and Paul Rodgers; celebrity appearances by cast members of Sons of Anarchy, and so much more; contests and activities throughout the weekend. Las Vegas BikeFest 2015 will be held October 1-4, 2015 in Downtown Las Vegas, NV, as well as holding registration in the Grand Ballroom at the hotel headquarters, the Golden Nugget Hotel & Casino, on the world-famous Fremont Street Experience. More information regarding vendor space or event registration can be found at www.LasVegasBikeFest.com, or by calling 1-866-BIKEFEST (1-866-245-3337). 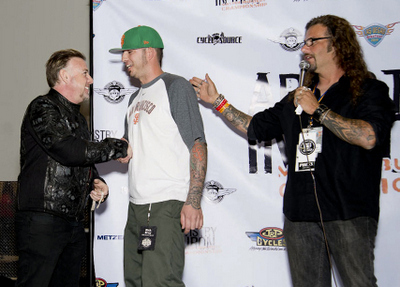 Steve Soffa presents the 2014 Artistry In Iron Master Builders’ Championship bracelet to Rick Bray, bike build-off winner.